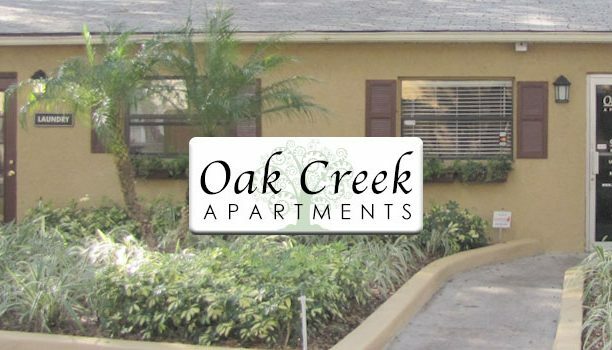 Enjoy all the comforts of a quiet and quaint tree lined setting right in the middle of everything you need. 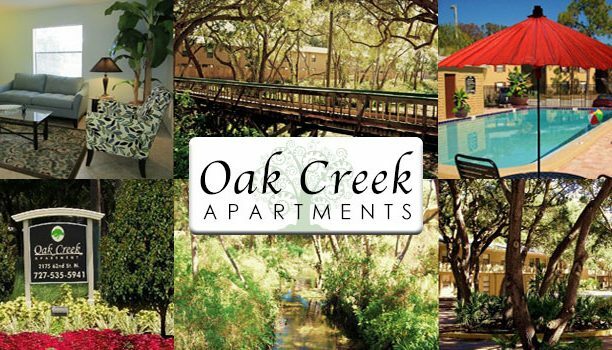 Spend the day lounging by the pool or take a stroll on our footbridge over the creek to see the beautiful nature your new home has to offer. 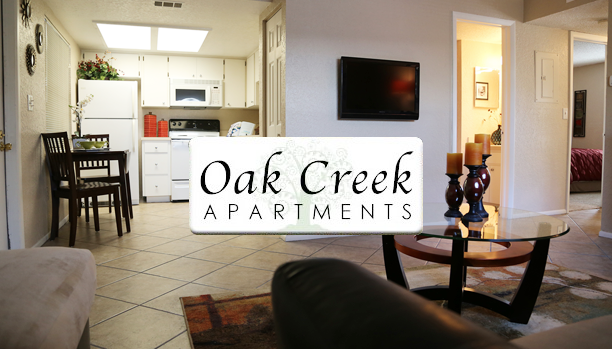 Each of our newly renovated apartments have new kitchen cabinets, countertops, built in microwave, ceramic tile throughout, designer carpet in the bedrooms, and washer and dryer included. Select floorplans have fenced back yards. 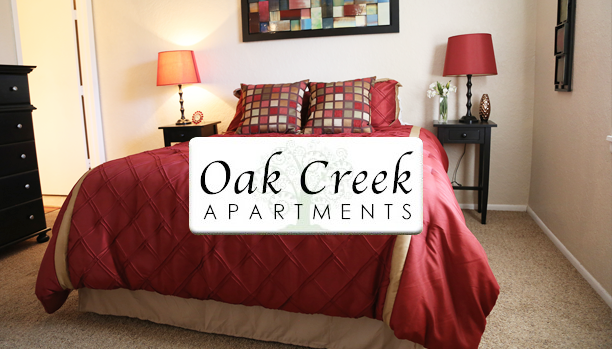 Our central location is only one of our many great features. 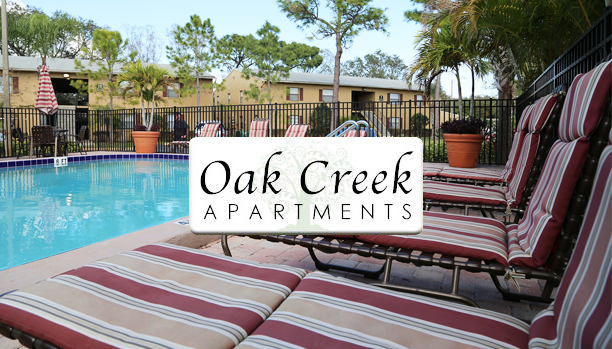 Get all the comforts and amenities for a price you can afford. 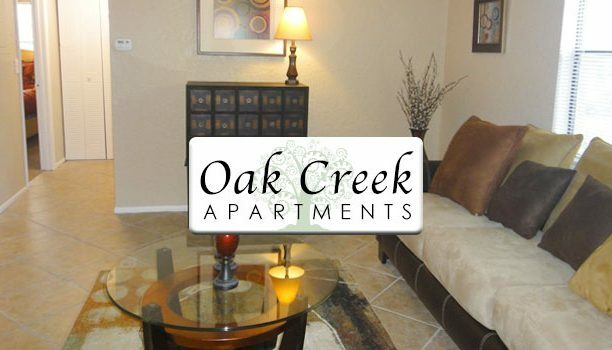 Copyright © 2018 Oak Creek Apartment Homes. All Rights Reserved. Created by Bezign.